I remember when I was in my second year of engineering, I went gaga about Steve Jobs’ 2005 Stanford commencement address on Youtube. Despite of numerous differences in opinion with his line of thought, I can never deny his contribution in reinforcing the fact that a genius doesn’t need great parentage or great education. And what more? He gave us PC, Ipod and Pixar! Jobs represented a generation of entrepreneurs. Despite being a leftist myself, and having a natural bias against big corporations, I could not help but admire Steve’s vision and style. His carefree hippie attitude towards life made him more than a businessman. He has inspired many entrepreneurs all across the world to stay hungry, (and) stay foolish. In the famous Stanford speech, he also mentioned connecting the dots. Both these terms later inspired two motivating books by Rashmi Bansal- which inspired thousands of entrepreneurs in India. Steve’s thrust on the excellence of design and technology also proved that the academic preference of the Indian youths, even engineers from IITs and other great technological institutes, for management courses is not desirable. He did what he loved to do! And today, entrepreneurship is emerging fast in India- something I personally am very proud of. And a part of the credit definitely goes to Jobs. This entry was posted in Economy, Education, Personal, Technology. Bookmark the permalink. My children needed to fill out Copyright PTO/SB/16 some time ago and were made aware of a great service that hosts lots of fillable forms . 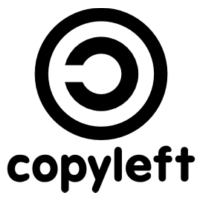 If others need Copyright PTO/SB/16 too , here’s https://goo.gl/s0l1MM.